A major key to a successful project is having a proper project plan. Why? A project plan is designed in order to guide the control and performance of a certain project. 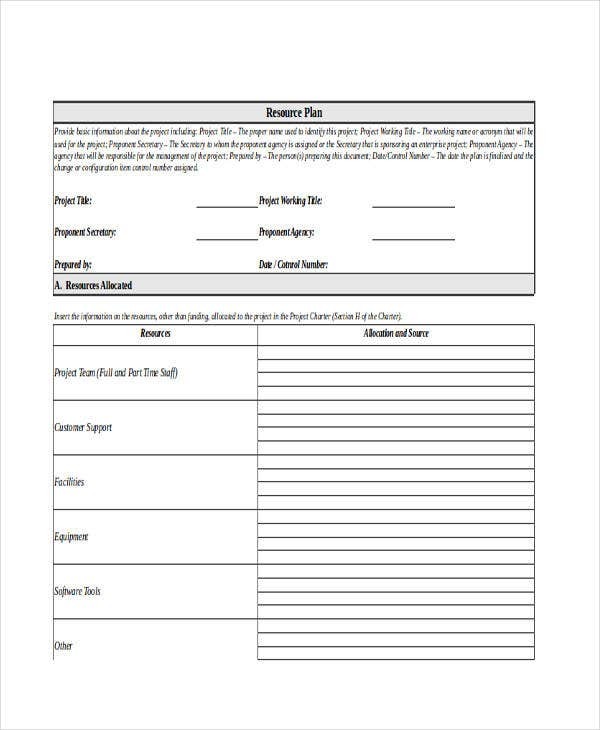 It is the most important document that needs to be made if someone wants to start a business project. 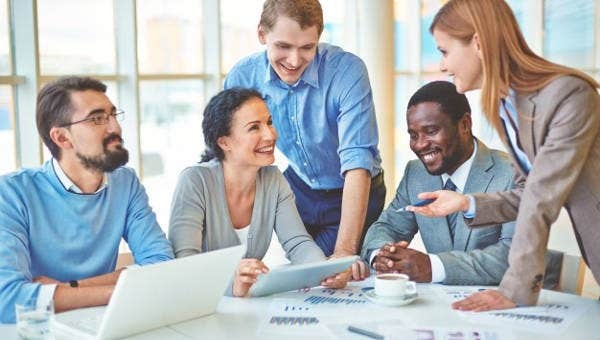 In terms of communicating, sharing business plan ideas, and documenting shareholder products, project plans are what you need.Controlling a schedule and delivery, as well as calculating strategic plan and managing associated risks, are a project plan’s purpose too. 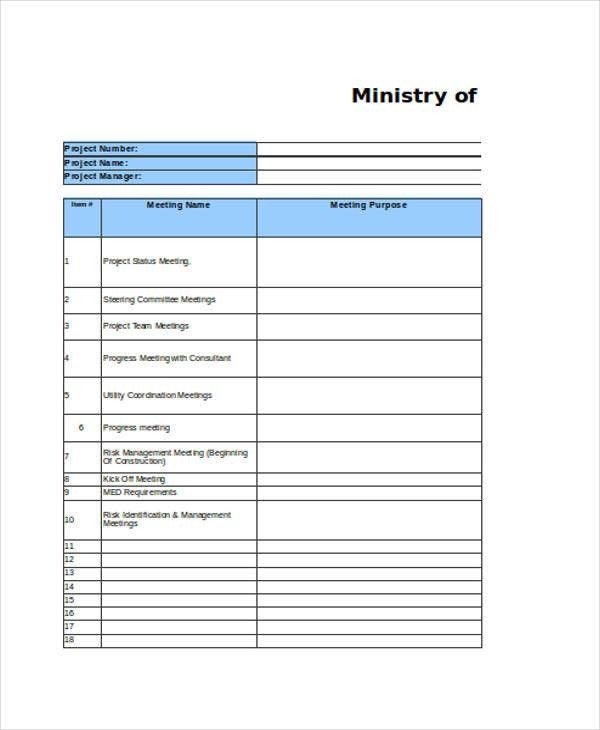 When making a project plan, ensure that it contains helpful information and that it’ll draw prospective organizations’ interest and attention. 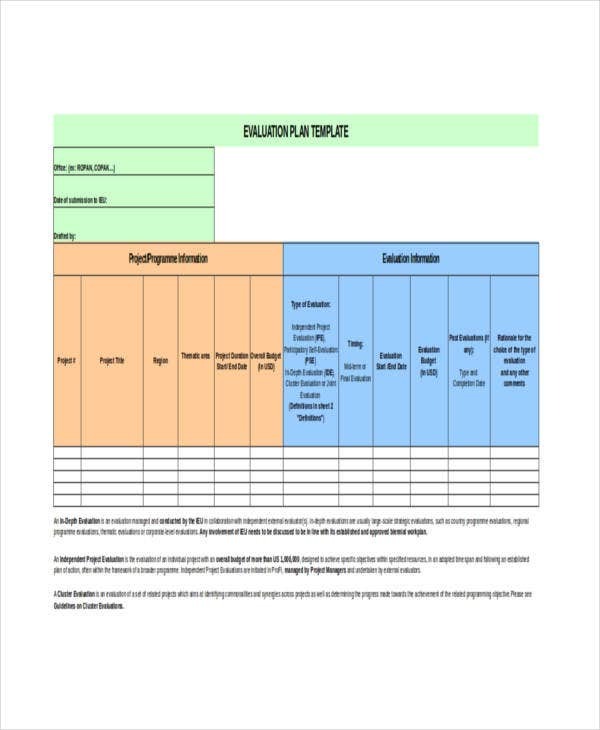 For this, we recommend our project plan templates in Excel. 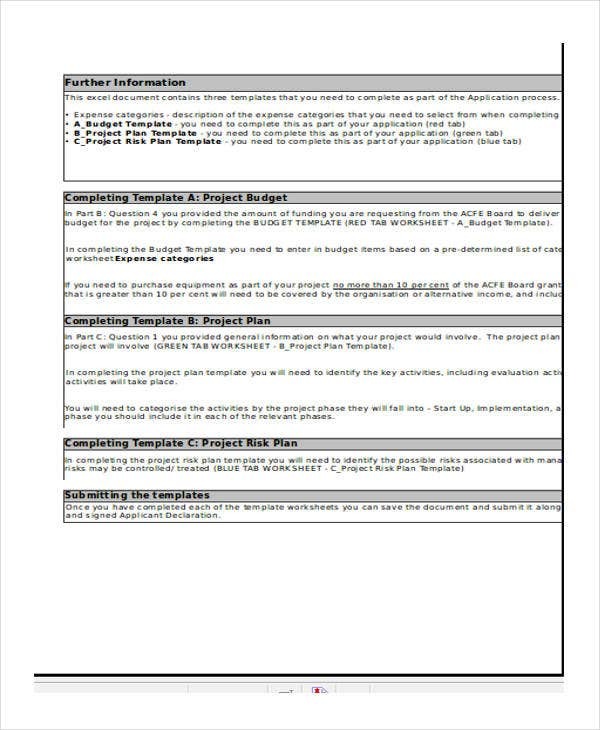 More samples of our project plan templates below. education.vic.gov.au/Documents/training/providers/learnlocal/grants/caif7partdtemplates.xls as we crawl the web. When creating a project plan, make sure you know what kind you need. 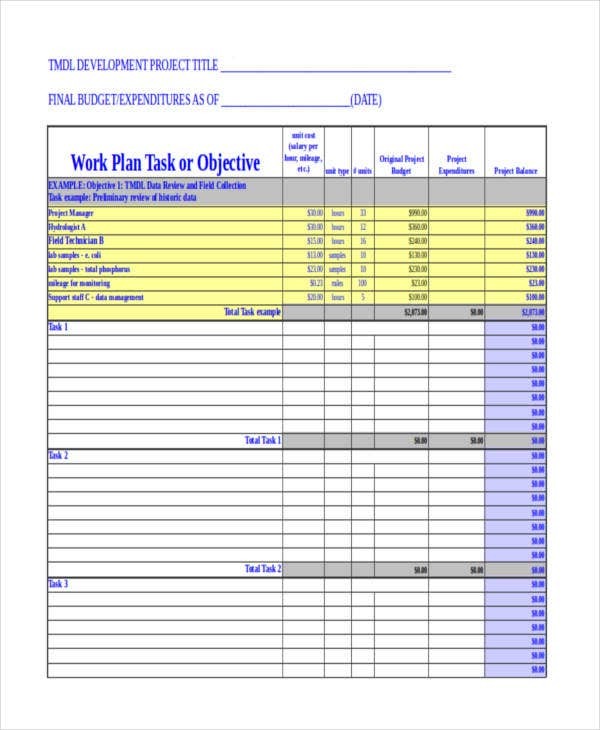 With our various project plan templates, like plan template in PDF and plan template in word, it’ll be easier for you. 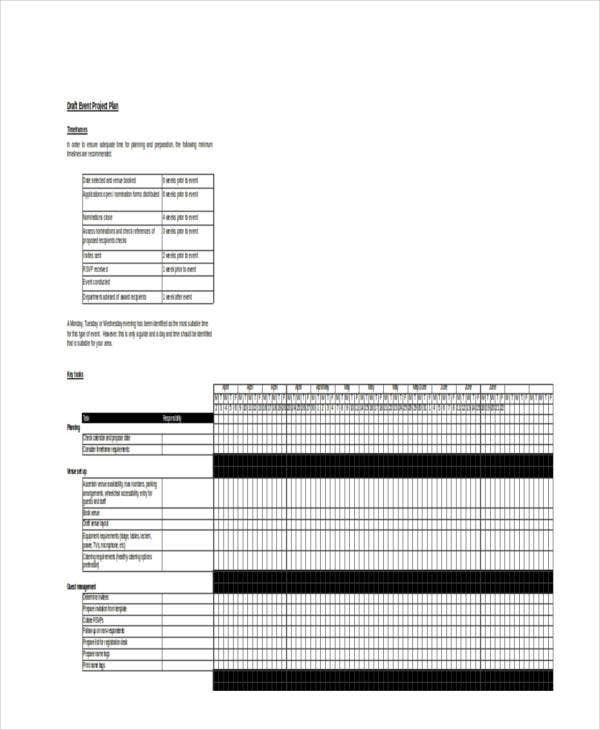 Event Project Plan – This template is designed for event project plan needs. This is ideal for event organizations, delivering conferences, and specific meetings for an event. 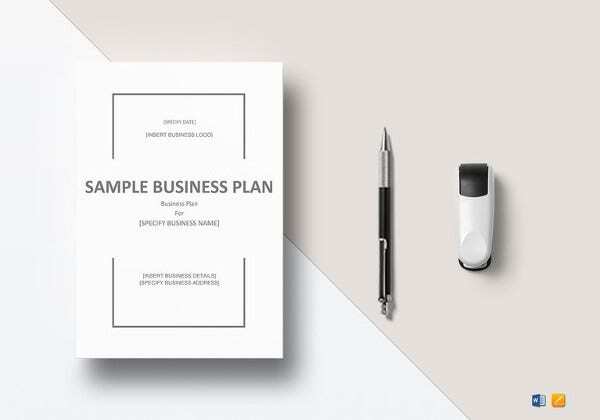 Catering business plan template also provides a similar approach. 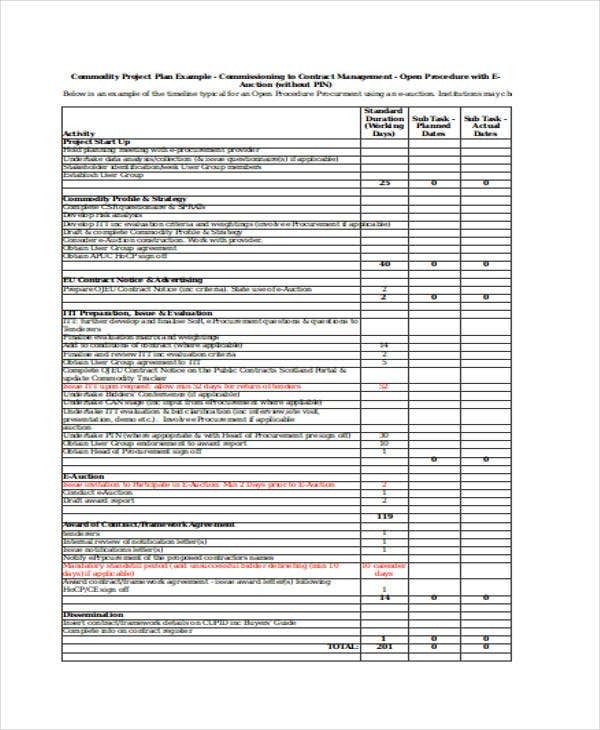 Project Work Plan – This is a type of project plan that targets future works in attaining proposed project plans. If you’re planning on making one, you might want to download this template. Another similar option is our simple marketing plan template. 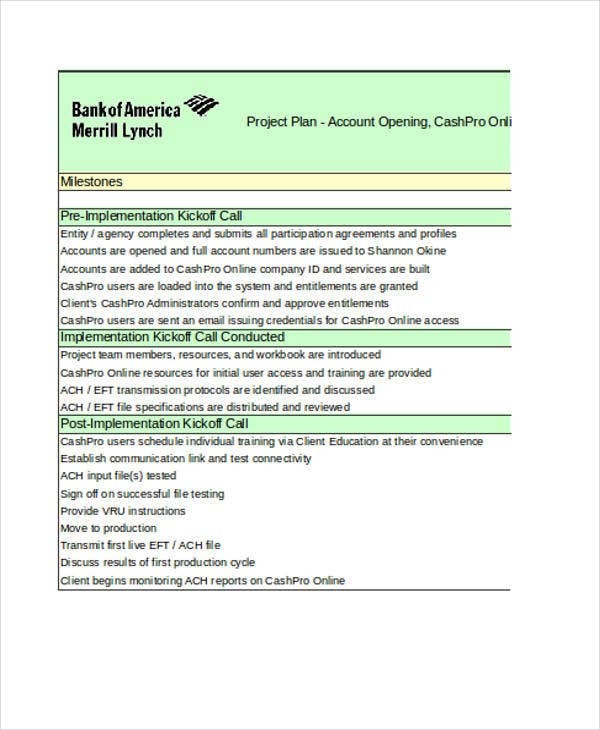 Project Communication Plan – Looking for a template that works for communication plans? This is the ideal option. 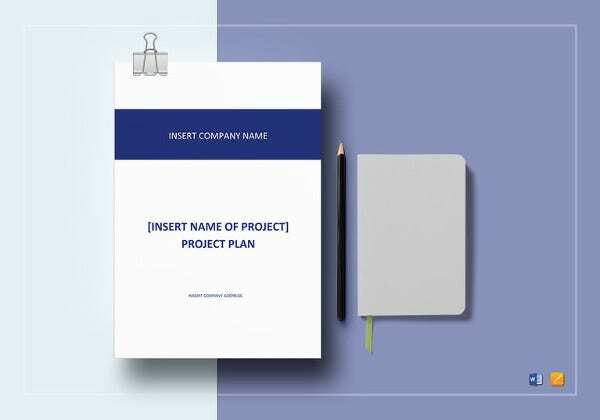 This template helps in providing shareholders with information regarding a project communication plan. This also helps define who should be given certain information. 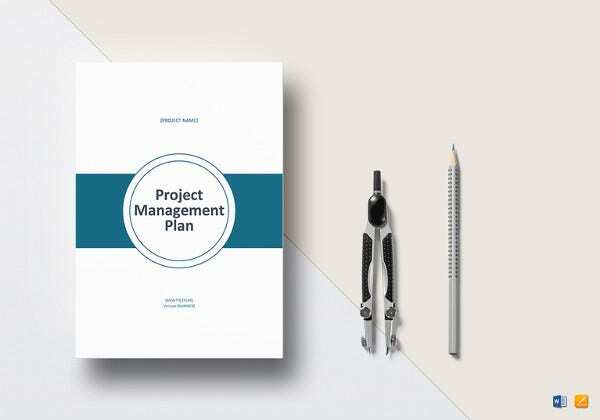 Project Risk Plan – This focuses mainly on preparing foreseeable risks, estimated impacts, and in providing a definite response to any certain issues. 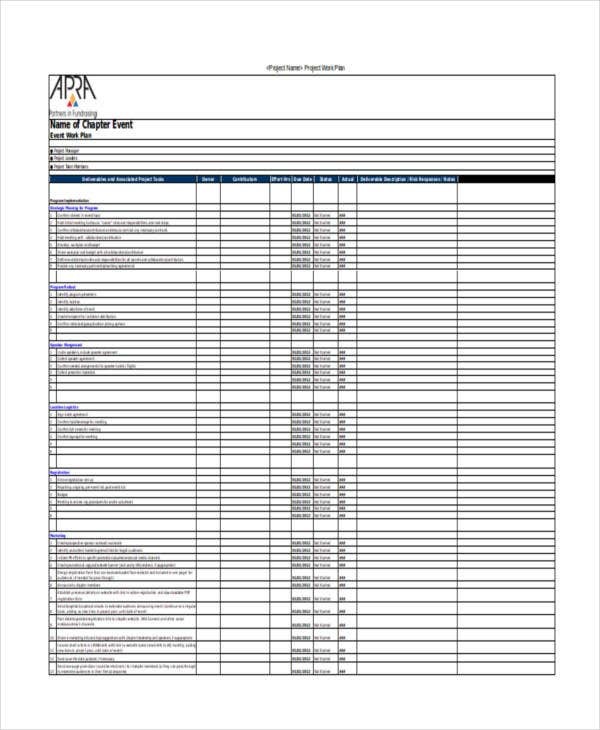 So for your project risk plan crafting, you might want to download this template. Not sure how to create a project plan? Novice for project plan making? Not to worry, simply follow these steps in creating one. 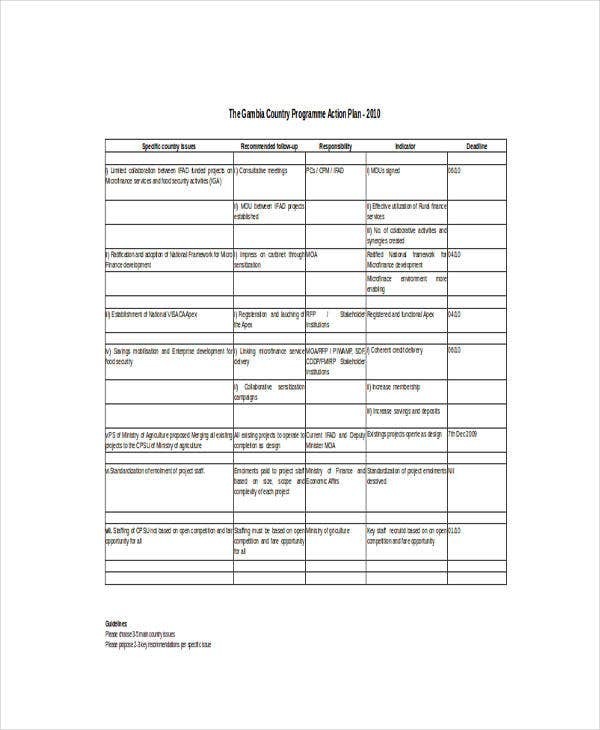 You can also make use of our free plan template. You need to explain the project plan toward shareholders and state its major components. A project plan is a living document that can be expected in order to change the development of a certain project. Just like a roadmap, it gives the direction for your project. Describe each role and responsibility. Generally, not all shareholders review the documents, so it is with high importance to determine on the project who needs to approve the specific areas of the plan. Think of holding a start-off meeting. This can be an effective way in bringing shareholders together for project discussion. This is also an effective way to start the planning process and can be used in building trust among the team members. Ensuring that each member’s idea is being considered is part of the process too. You can develop a statement scope. This is probably the most essential part of a project plan. It is the foundation for the rest of the project. Scope statement describes the outcome of the project in a clear and understandable way. A project plan template is just like a floor plan template, which shows strategic content for concise floor plans. You can check out other templates available on our website.